*OKAY you can close your mouth* no seriously, gifted doesn’t generally means sent by a company, so don’t be jealous or surprised, haha. This was a birthday present gifted to me by my mum. I did mean to do a birthday haul but instead thought of doing a separate review for each thing I got, that way I can have more content for the blog right? Since me and my mum we are handbag freaks then again who isn’t? She knew I wanted a nice designer bag for the longest time. 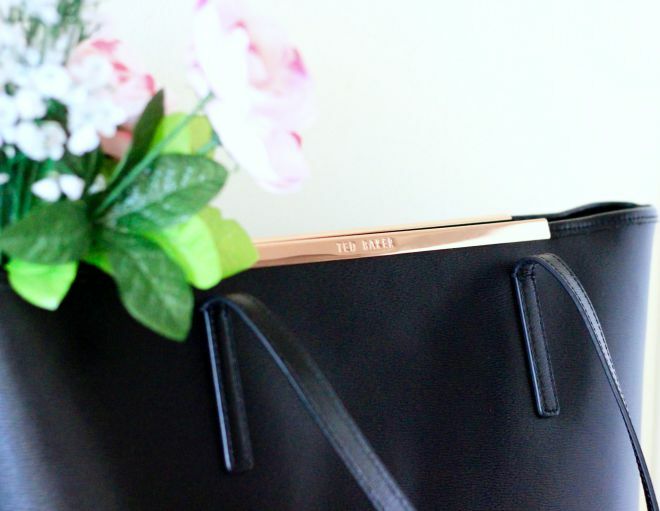 And while on our trip to Italy at Gatwick airport I saw this beauty and I had to get it – Ted Baker Phoebie Leather Shopper Bag. Plus it was bit cheaper #joysofshoppingatdutyfree. That’s the thing about getting you heart set on a certain something and not really weighing the pro’s and con’s. 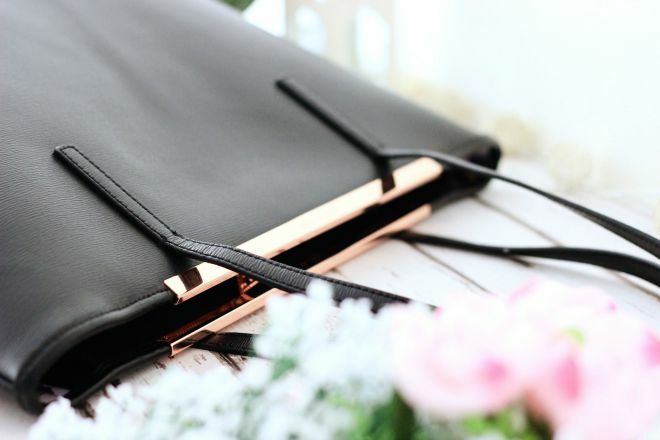 It’s black, it’s sturdy, it’s GIANT, and hey it has the rose gold detailing. 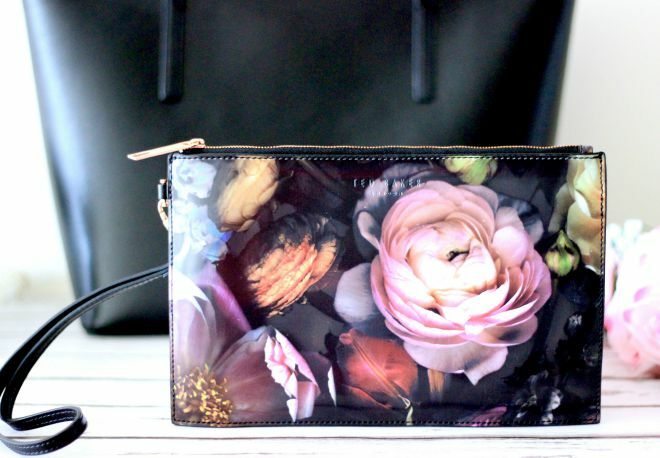 With a little edgy Floral bag, and the match-y match bag lining. 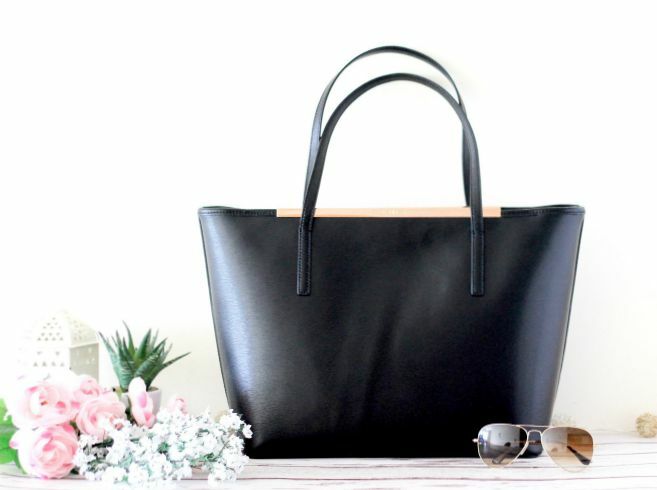 An effortless-timeless-classic piece, which would dress up any dull outfit too – I’d say a total winner in my eyes. It’s been a month, well not even a month since I got it, so I can’t say much about the long term durability, but its a well structured leather bag which looks and feel quite high society. 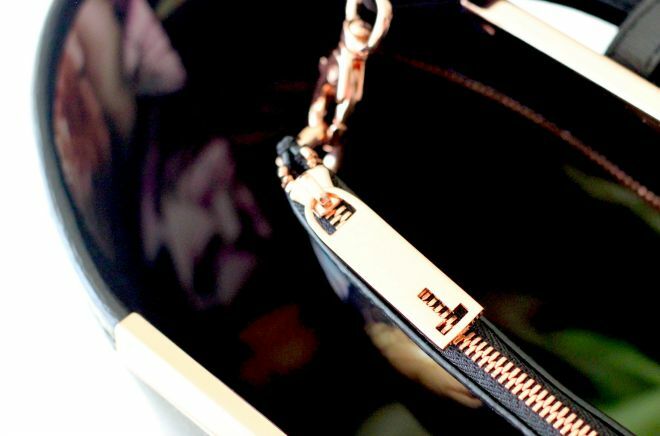 Though I have my doubts with the thin straps and how the bag can get heavy with a few extra things, which can easily strain the straps. But I will surely keep you updated with the wear and abouts of this one. which hand bag to go for next? Previous Post Kiko Rebel Romantic Collection || First Impression & Swatches.